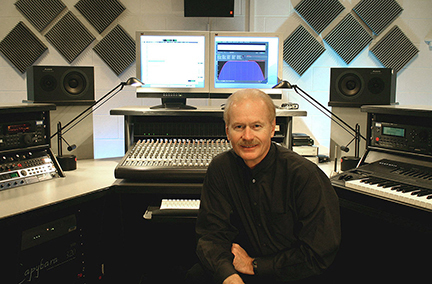 During an interview with Scott Wyatt by the Sousa Archives staff on September 30, 2014 he described the legacy of the University of Illinois’ Experimental Music Studio when it was first created by Jerry Hiller and housed in Stiven House. He talked about the many technologists who helped develop and maintain the Studio’s electronic technologies and the musicians who utilized them to create their new compositions including James Beauchamp, Phil Musser, Paul Martin Zonn, Herbert Brun, Salvatore Martirano, Jack Melby, Ed London, Ben Johnston, and Russ Winterbottom. Wyatt also discussed his experiences working with Jerry Hiller, his role as director of the Studio after Beauchamp stepped down from this position in 1976, and the new technological developments that he brought to the studio between 1976 and 2015.